Our workshop series offers educational resources for farmers across the region, from backyard growers to commercial operations. We partner with experts from across the region to draw from a wide pool of experience and specialized knowledge. Diverse workshop topics range from beekeeping to livestock handling, and health and safety on the farm to hands-on design/build projects. 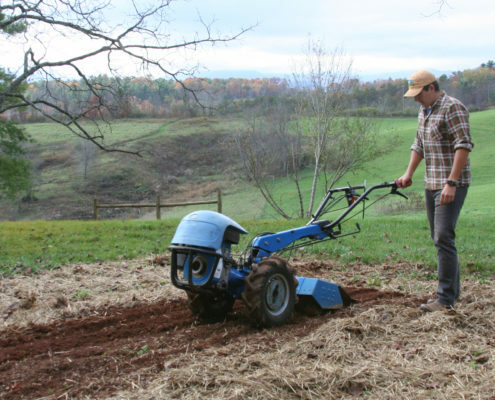 Farm Pathways: Access to Land, Livelihood, and Learning, is a whole-farm training and innovative land access program for new and aspiring farmers in Western North Carolina. This farmer training program is being developed by three collaborative partners: SAHC, Organic Growers School and WNC FarmLink. The Farm Pathways collaborative program facilitates educational opportunities, access to land, and ongoing networking and mentoring systems through the start-up years to increase the likelihood of success for beginning farmers. Many skills are required to start a successful farm: passion, clear goals, production experience, financial and marketing know-how, and more. The Farm Beginnings® class is a 12-month training session that helps beginning farmers clarify their goals and strengths, establish a strong enterprise plan and start building their operation. 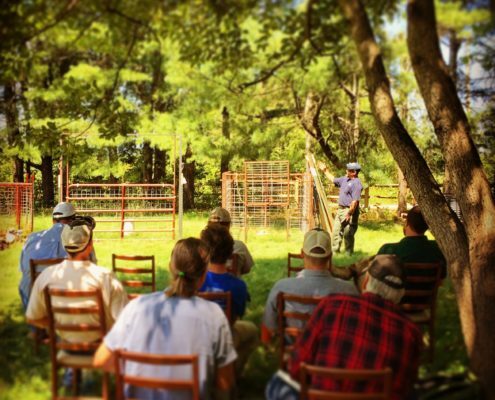 The course uses a mix of farmer-led classroom sessions, on-farm tours, and an extensive farmer network. Offered by Organic Growers School. Apprentice Link connects people who are serious about learning the sustainable farming trade with farmers who are willing to teach them in an apprenticeship setting. Depending on the farm, different compensation (from hourly wages to room and board and education) may be offered in exchange for labor. Apprentice Link listings help potential applicants find farms that are compatible with their farm training needs. Offered by Organic Growers School. WNC FarmLink matches farm and forest land owners with new and experienced farmers eager to find land to farm in WNC. They work with each person to understand personal interests, needs and vision. With combined personal support from WNC FarmLink staff and the collaborative resources of partners, they will help guide you toward the lease, sale, or land use agreement that serves you best. 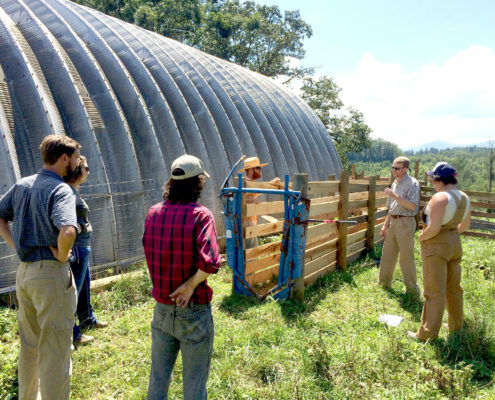 Cooperative Extension services from county community centers across NC offer a variety of resources for farmers and working lands. NC Cooperative Extension is based at North Carolina’s two land-grant institutions, NC State University and NC A&T State University, in all 100 counties and with the Eastern Band of Cherokee Indians.